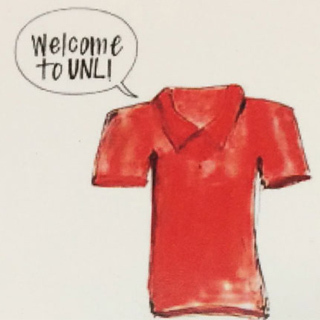 This week kicks off what I believe to be the most wonderful time of the year, at least in the world of academic advising – New Student Enrollment. For just over a month, our university will welcome our incoming class of 2021, with the College of Arts & Sciences welcoming 633 alone (as of the latest roster). New Student Enrollment, or NSE, is when a student officially starts their journey as a Husker at the University of Nebraska, and for advisors it is the first time meeting our new advisees and helping them create their first academic schedule. This time last year I was still brand new, a week on the job, and trying to take in all of the information at once. Since I started during NSE, this time has a special place in my professional heart. I love see students coming in and learning about the university, our college, and picking their classes. While it is a long day for everyone involved (students, parents, advisors, orientation leaders), it is one full of excitement and energy. Our students get to see fun skits, tour campus, meet other Huskers and leave with their fall schedule. I always tell students that it is ok if they do not remember everything after their NSE day – it would be difficult to do so. Instead, I want them to relax and take everything in, and engage with the day’s activities. NSE is an exciting time, the advisors in the Advising Center meet not only with our assigned students, but we also help the Explore Center and advise pre-health students – something we do not get to do every day. It is the most wonderful time of year because we get to see our students at the beginning of an exciting journey, and I cannot wait to see what this summer brings!